I've said it before and I'll say it again: Vermont sunsets are the best sunsets. The most common engagement photos that my couples request are sunset photos. And once you get your sunset engagement photos, you'll love them so much you'll be sure to allot some time to take newlywed sunset photos on your wedding day while your guests are dancing the night away at your wedding reception. There are about 15-30 minutes to get sunset portraits; the first half of the time you will be able to see both the sky and the couple and the second half of the time you'll be silhouetted against the backdrop of the sunset (like in the above photo). 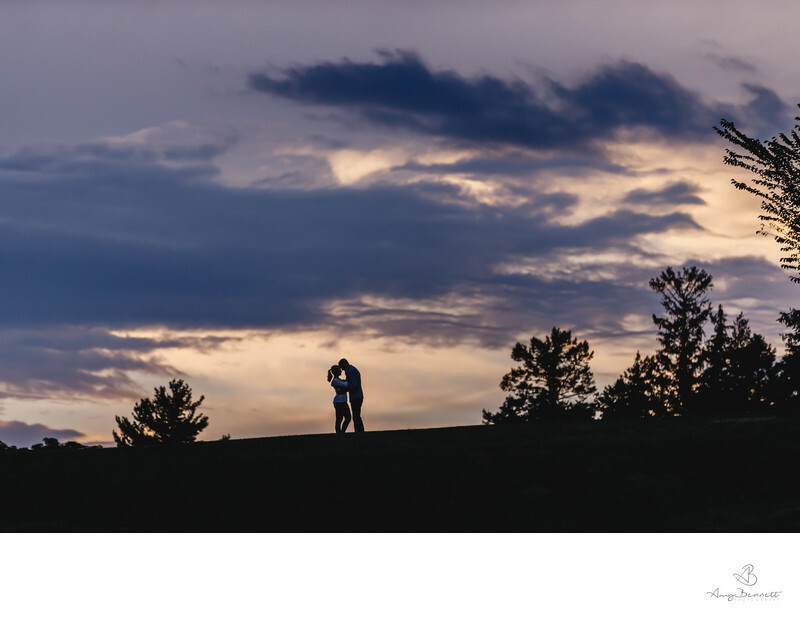 This silhouette engagement photo celebrates the beautiful Vermont landscape, but still centers around the couple. These photos are possible at nearly every outdoor engagement shoot as long as your photographer is standing at a distance. If you want a lot of sunset shots at varied closeness, be sure to let your wedding photographer know ahead of time so that they can plan to bring zoom lenses and/or a second shooter to your engagement shoot. My husband, David, often acts as a second shooter and camera assistant for me at weddings during my busy season (May-October) at larger weddings or when deemed necessary by the client and me. If David isn't available I have other second shooters that I can ask to help at weddings. The same is true of engagement shoots; if we think it's necessary to have two photographers or that it would be more fun (and not make you overwhelmed) to have multiple photographers at your engagement shoot, I might bring someone else along.